Eugene F. Kranz, author of “Failure Is Not an Option: Mission Control From Mercury to Apollo 13 and Beyond,” is a former Apollo flight director. 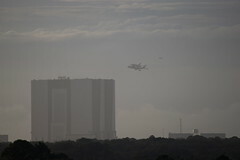 “To read and listen to the coverage of the ongoing mission of Space Shuttle Discovery, you would think NASA’s mission team have taken careless risks with the lives of the seven astronauts who went into space last Tuesday. 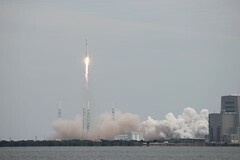 During the launch, foam fell off the external tank. For the risk-averse, the only acceptable thing to do now is retire the shuttle program immediately and wait for the divine arrival of the next generation of spacecraft. I am disgusted at the lack of courage and common sense this attitude shows. All progress involves risk. Risk is essential to fuel the economic engine of our nation. And risk is essential to renew American’s fundamental spirit of discovery so we remain competitive with the rest of the world. My take on the current mission is very straightforward. The shuttle is in orbit. To a great extent mission managers have given the spacecraft a clean bill of health. Let us remember that this is a test flight. I consider it a remarkably successful test so far. The instruments and video equipment developed to assess the launch performance and monitor debris falling from the tank worked superbly. For the first time, the mission team knows what is happening, when it is happening and the flight conditions under which it occurred. This was a major mission objective, and it is an impressive achievement. Having spent more than three decades working in the space program, I know that all of the flights of the early days involved some levels of risk. Some of those risks, in hindsight, seem incomprehensible by today’s timid standards. If we had quit when we had our first difficulties in Project Mercury, we would have never launched John Glenn on the Atlas rocket Friendship 7 in 1961. Two of the previous five Atlas rockets test-fired before Friendship 7 had exploded on liftoff. 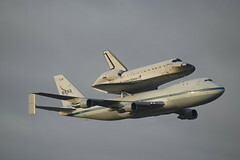 I see the same combination of anger, resolve and determination in the Space Shuttle program today. These people are professionals who understand the business of risk, how to reduce risk and making that which remains acceptable. 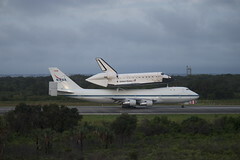 Most important, the current mission has demonstrated the maturity of the shuttle team that went through the tragedy of Columbia and had the guts to persevere. This is the most important aspect of the recovery from the Columbia accident, and is a credit to the great team NASA now has in place, headed by its administrator, Michael Griffin. The lovely and talented Allison of AP’s Blog asked a very interesting question and I am going to make a new post out of it because it brings up some interesting points. This brings up how screwed up the media in this country is. In terms of the space program, our own local newspaper is one of the worst, always gloom and doom about NASA and then they call themselves the “Space Coast Newspaper.” How dare they! The TV stations are no better. They are all looking for a sensational story and will twist information use worst case scenarios, and take many liberties to “make” their stories. It disgusts me. The space program is something to be proud of and the way they report, they want us to fail so they can be more famous and popular. It is not just the space program though. I noticed last year with all of the hurricanes that the reporters on the Weather Channel seemed actually disappointed when certain hurricanes did not cause as much distruction as predicted. They hung their heads almost in disappointment! Unreal! The guys on one radio show I listen to sometimes said that they were out at Jacksonville Beach one time when a hurricane was coming, and there was a TV crew there filming the hurricane coverage. The news anchor was standing in front of a sign on the beach and somone was crouched below him shaking the sign to make it look like the wind was blowing really hard. This is the kind of sensationalist crap we see every day, whether we know it or not. 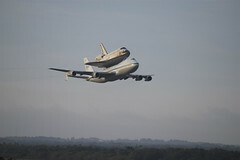 Technically, according to NASA, the shuttle is grounded everytime it lands, as it is not like an aircraft that has an airworthiness certificate issued that is good for many flights. The airworthiness is determined separately for each fight, and all they have said is that we will not fly until the problem is fixed. It is the same effect as a grounding, but technically a little different. I call it “grounded” as well, as it is pretty much the same thing. The media loves to take hold of a word or phrase and use it whether or not they know what it means. This is just one more example of the utter ridiculousity of it all. Anyways, so whenever you hear something like “will a hacksaw repair determine the end of the space shuttle program?” (I actually heard something to that effect today), keep in mind that the media is made up of a bunch of people who want us to fail because it makes for better news. Oh, and everyone go visit Allison’s and Tom’s blogs. They are both very cool.